So if the toothed wheel normally flies past a powerful magnet just before the pickup when going normal ccw , what happens to the signal if the magnet is after the pickup gong cw ? Are you wondering if this could retard timing and/or the shape of the signal might be different and cause misfires? Would think that if all exhausts are the same temp mixture on each cylinder would be similar enough for lambda to be useful. Dunno about using separate adjusters on each cylinder though, might then find you see similar temps under only a narrow range of operation... but that might be a problem even without separate adjusters. Could you swap dizzies between engines to see if the misfires on the back engine go away when it has the front engine dizzy? Clicked on the Youtube vid, saw it was 35 mins long, will have to watch it later. yes simon , or even, if it requires the flying past the magnet to get magnetised and so trigger the pickup coil ,could the faster it goes mean it gets less and less magnetised and the signal gets degraded ? that's a good idea ,thank you . vap balance pipe to front of car caused surging . ign timing reset to 15 static and 28 total .much more powerful now . mpg was 3.77 on the way to blenhiem palace car show , after timing setting now above 5 mpg ,still v rich . may take out 25mm rings ,since front engine tap fully shut . need a) msd ignition B) seperate adjuster taps on each cylinder . if i can adjust all cylinders to similar temps ,then i can trust the wide band sensor as representative of all cyls ? anyone got a propane afr temp graph ? i assume it gets hotter the richer it is then cools off like a oxy flame . One cars with more than 1 carb I have always found it best to have one adjuster before the LPG feed splits to the carbs. Hi Dai, are you a mod yet? I started watching the vid last night... cast it to the big screen, got past Winter Wonderland whistling but then the internet went down and the screen froze. Very interesting stuff, far better than anything else the kids might've put on lol.. But I'd want to watch it again and in full before commenting on any aspects. Yes now a MOD so can edit your posts lol. Not watched the vid as yet but will do once on the PC. classicswede wrote: Yes now a MOD so can edit your posts lol. Or should I say oh bolx! Lots of fun editing each others posts before when there was that issue on the installers section... but now you can edit mine actually on forum and I can't edit yours I'd better keep checking my posts eh lol. Long time no chat Dai, we should catch up. hmm good point , i am hoping i can balance things out with the separate taps , then leave them and use the single tap to the globes to adjust from then on ...time will tell ! As implied by myself and Dai, the problem then can be that balancing individual cylinder fuel/air ratio is problematic, you get things right at a particular rpm and engine load but things are different under other circumstances. Fitting individual cylinder / cylinder group adjustments can mask underlying issues at a certain rpm and load but can't often mask an underlying issue... I.e. Which pipe flows more and at what frequency/rpm, a nominally straight 6mm ID pipe 10 inches long or a nominally straight 7mm Id pipe 9 inches long with a 6mm restriction in the middle, then what happens if we add bends etc into the range of factors. Actually i just had a thought , i wonder what the effect would be of a 15mm pipe running along horizontally under the mixers, connecting all 6 together,like a balalnce pipe on an old twin su manifold ..
Definitely looks good and will be great if can get it working OK with Medusa on board. Medusa in more than one way - I'd love to see boy racer faces turn to stone as you pull up alongside them with that engine lol. Worth persevering with to keep Medusa for sure. Agreeing with Dai et al. - I fabricated a double throated mixer for a Mopar V8 with 2bbl Carter BBD carb - that was over four years ago and I'm still not sure I've got the mixer throats balanced right - my old posts are still on here which is how I know how long ago it was LOL. As stated above, the snag is you can't really balance the individual mixers by altering the gas feed restriction because it has different effects under different conditions - I don't think you can do a lot better than just trying to keep them all physically as identical as possible, and yours do look to be manufactured with far more consistency than mine ! I considered some sort of balancing connection between them but I figured the more you connect them the more they start to behave like a single larger mixer which is what I wanted to avoid in the first place. Might work differently on yours as they are distant from one another whereas mine are literally side by side. @Oldskool Is there a prob with slight hesitation when the 2nd bbl begins to open but runs OK when 2nd bbl throttle is open? If so it could be because until the 2nd bbl opens there'll be no airflow through that bbl so no gas flow to that bbl so the 2nd bbl may come to contain only air, which then gets sucked into the engine without fuel when the 2nd bbl first opens causing momentary lean mixture hiccup. 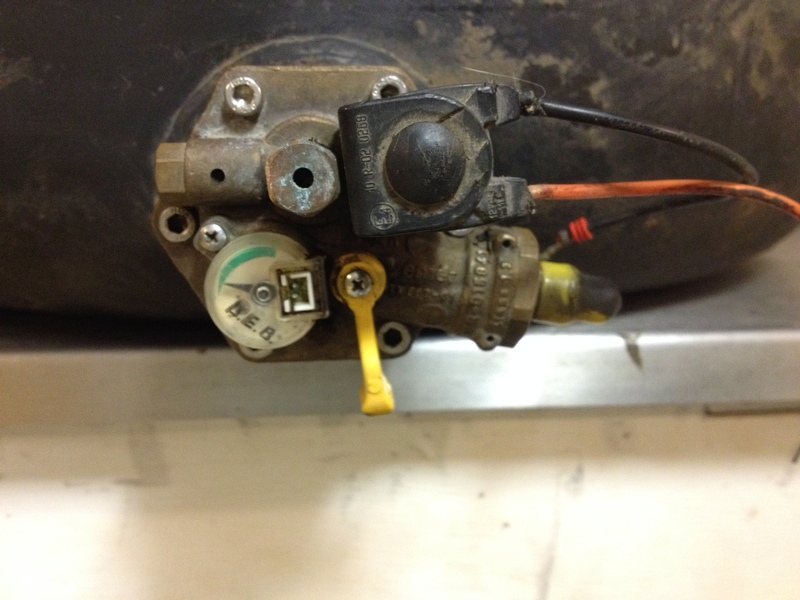 A carb might feature an acceleration pump to counter such effect. A single large mixer would avoid most of such effect because correct mixture would sit above both bbl's all the time the engine is running. Sorry I didn't find and read your old posts before posting this but ah well I've written it now! @robertXX Just watched the end bit of the video I didn't get chance to watch when the internet went down before. All very interesting stuff, I should watch it all again in one stint from beginning to end, you cover a lot of ground and I need to refresh my memory! Just one idea for now - On cylinder(s) you think are running lean (interpreted from Kv for firing plugs), just partially obscuring the inlet trumpet on those cylinders should see those cylinders run richer. I often use my hand for this if I'm confident there won't be a backfire lol. Having written that, another thought just occurred to me... Obscuring a trumpet might give further insights, e.g. does affecting mixture on one cylinder affect mixture to other cylinders and if so is the extent of the effect rpm and/or load dependent. The Carter BBD 2 bbl carb is not progressive; both barrels are identical and open together. The main (only?) reason they used 2 barrels is to increase the relative velocity, hence my deciding to sit a pair of equally sized mixers (equal to each other, not equal to the carb bores) directly above looking for a similar deal with the gas venturis (better signal lower down the revs with less restriction higher up). It does what I wanted but the balancing thing remains a niggle although I've got them pretty close I reckon. That's a really good idea Simon, the idea of a hand enriched cylinder affecting the other ones seems likely , like a 6 legged see saw ! Steve, will catch up with your PM and on thread tomorrow mate.. I'd forgotten I'd seen your car lol! Rob, I really like the way you think! Just a side note.. I've used hands for similar plenty of times and could see myself risking the same on Medusa.. but it'll probably be a better idea to restrict airflow using something else like a metal ruler held lightly at the far end in case there's a backfire lol. it does not seem to back fire out of the inlets much if at all , pops out of the exhaust and veronica tells me it it orange flames on nicely when i back off. Edit,, oh scrub that , v tells me it was flaming out of some bellmouths on accel ,and then out of the zorsts on deccel . driving in the dusk gives lots of new data ,as long as you have an observant girlfriend following ! Ahh that scorched arm roast pork aroma... even more ready for Sunday dinner now! it's probably the pressure and velocity of gasses that concern me most, not so bad when you've only got the small amount of mixture in trumpets but I've had palms that felt caned and sprained fingers just from being in the way of backfire gasses and on other occasions have had shrapnel from bits of plastic ducting which might just have easily have ended up being sucked into the engine. Unrelated but funny looking back now - A long time ago my mate was adjusting ignition timing on an engine being extra careful so as not to suffer any shocks from ht leads etc. The first thing that happened next was a backfire, quickly followed by him banging his head on the bonnet, quickly followed by him reacting to all this by flaying his arm causing his thumb to somehow get in the pinch point between the fanbelt and engine front pulley.. thumb went all around the pulley between the pulley and belt still attached to his hand but dislocated broken and a bit squashed. So he went from totally fine to sore head, thumb hanging off and temporary deafness in a few hundred milliseconds lol. yikes that's just nasty ! stakis torroidal 60 L tank , is this photo showing it the right way up for installation ?